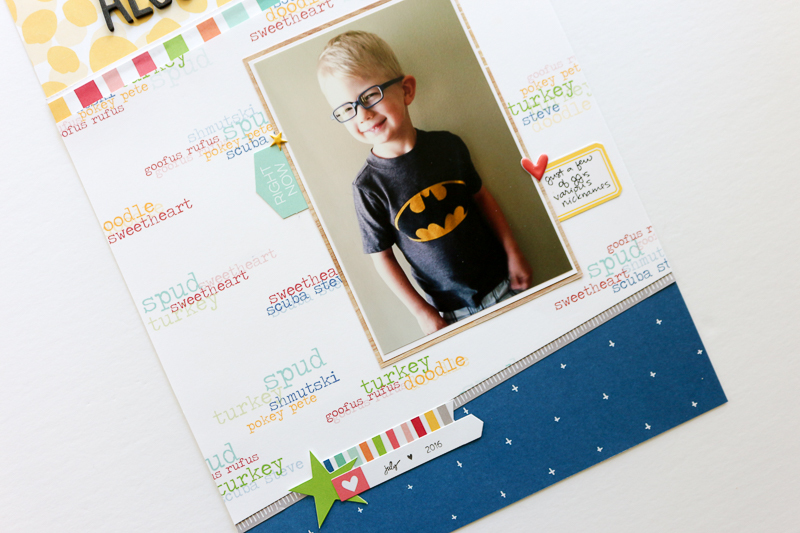 I'm back today to share a fun layout I made about JJ! 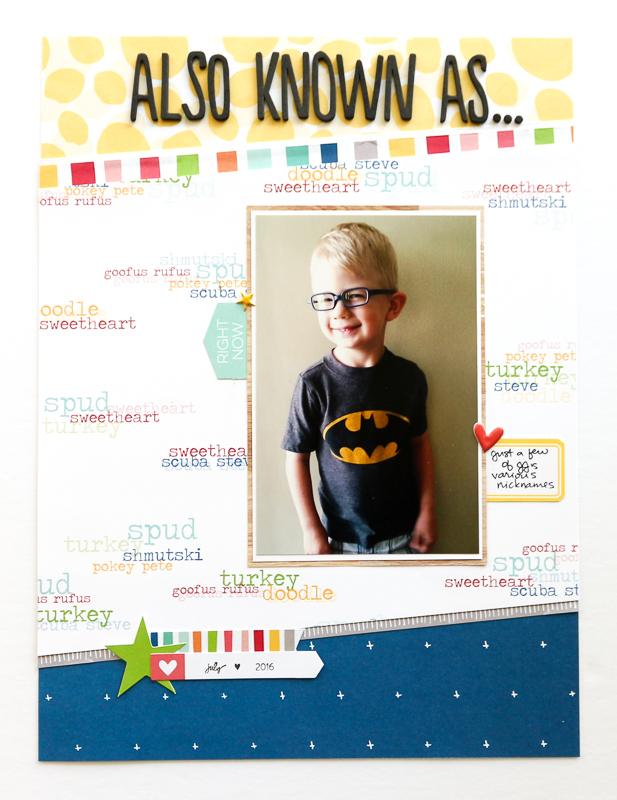 Around here, he probably gets called by a nickname more often than his actual name, and we have quite a few to choose from! I thought it would be fun to have them all together on a layout. I'm also going to create a few separate layouts for some of the nicknames that have a bit more story behind them. 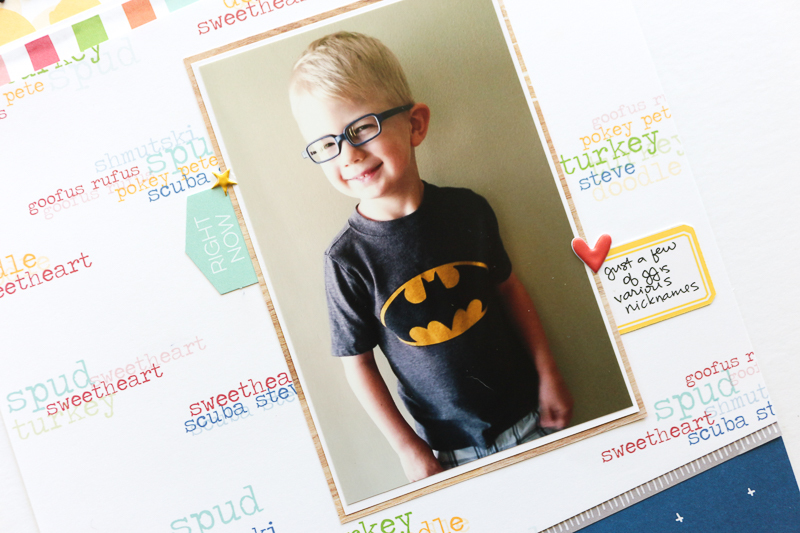 I used the super fun and bright "Sunny Days" collection by Elle's Studio, which goes perfect with this cheerful story. I created the white base with the nicknames in Photoshop. I just created a brush file for each nickname I included so that I could randomly stamp them all over the page. I put some on a different layer with a low opacity to get some variation in the 'ink' colours and saturation, so it would look as if I actually double stamped them. Looking at the finished spread, I wish that I had made the blue 'base' paper a little smaller, and had more of the yellow at the top... I think that would have looked a little better design-wise, but oh well. I'm still really happy with how this layout turned out.